The toy is equipped with a strong magnet. This magnet gives virtual support to keep BB-8’s head up if he bumps into something hard. And last is the Message mode. This mode allows BB-8 to record a message of what you say and then project it from his head as a hologram (just like Leia did in A New Hope)–but only through the screen of an iPhone or an iPad device. 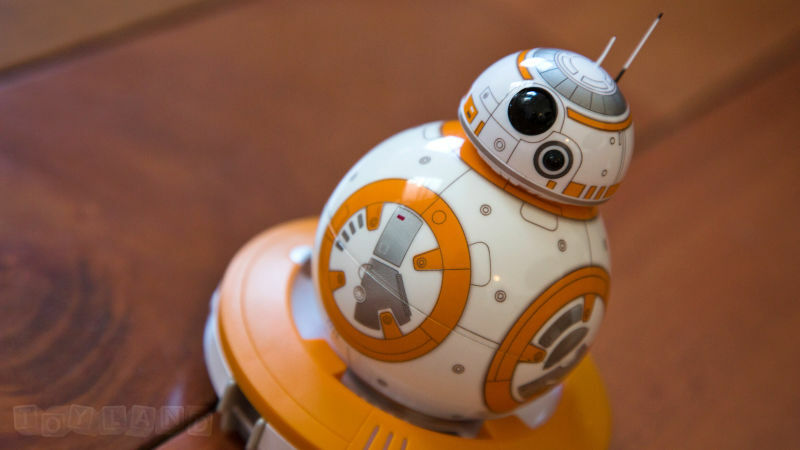 FYI: Sphero’s BB-8 is out of stock on many sites as of this writing, including Bed Bath & Beyond. I’ll be posting updates when this toy comes back in stock.